When you buy a new computer from store recently, the Windows system on the computer might not the newest version, it might be Windows 8, but the newest version is Windows 8.1, which was released on Oct 17 2013. Microsoft accepted lots of feedbacks and suggestions from users since they released Windows 8, they improved lots of features and add new features in Windows 8.1, such as: a start button which is similar in old Windows system. Please read more in here. 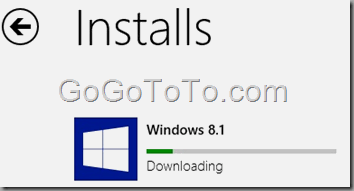 So if you find your Windows version on your new computer is Windows 8 but not Windows 8.1, you’d better to upgrade it, the upgrade from Windows 8 to Windows 8.1 is free, but Windows 7 users have to pay starting at $119.99. 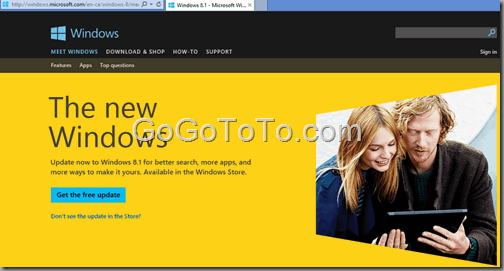 Download Windows 8.1 from Microsoft official site here. Now we have a new laptop which pre-installed Windows 8. 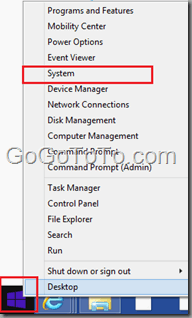 How to check your Windows system information in Windows 8 ? Then we were accessed to download page, the download file size is not small, it is 3.62 GB. During the installation, it told your computer would restart several times, and you have to save your works. The updating was a long procedure. we waited about 2 hours. we do not why the update was taken so long time, but finally we got the updating successfully. the following was the new screen which we saw right after we updated. seems there was not big difference with the previous Windows 8 version ? We were not sure, but maybe there was really differences, such as: more apps. But we knew there was really a real difference with previous Windows 8: A Start button ! 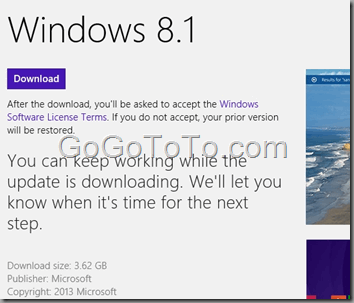 Microsoft has a guide about updating from Windows 8 to Windows 8.1. Some Updates Could Not Be Installed in Windows Update? Next Next post: Where is the CAA Online Renew Link ?